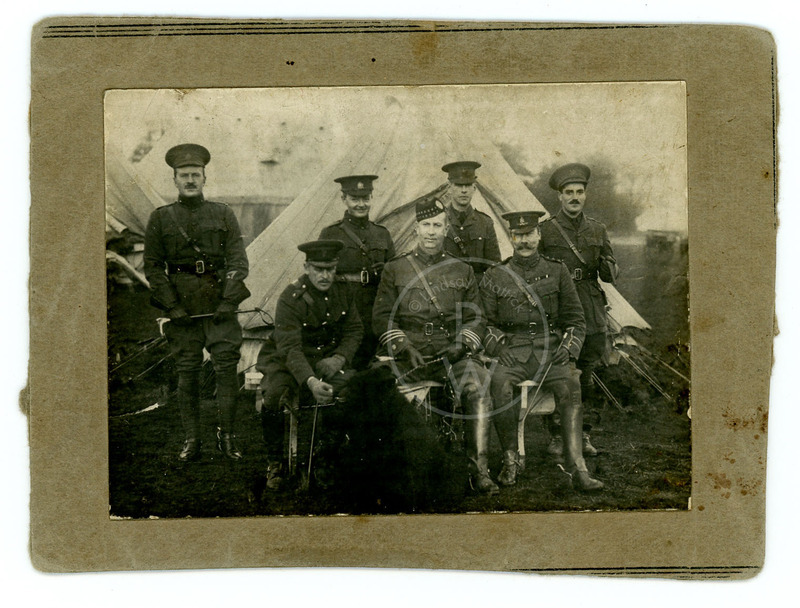 Harry Colebourn (back row, 2nd from right), with Arthur Currie (centre), and Winnie, on Salisbury Plain, October 1914 to February 1914. Colebourn Family Archive. Harry Colebourn, memoranda, diary, 1915. Colebourn Family Archive. “Left Wpg 7 P.M.” On Sunday, August 23, 1914, Winnipeg veterinarian Harry Colebourn embarked on his journey into the Great War. “Left Port Arthur 7 A.M./ on train all day,” he penciled the next day, adding: “Bought Bear $20.” He named the female bear cub Winnie after his prairie hometown. Photographs show the pair bonding during military training in Valcartier, Quebec, and in Salisbury, England. The war diary’s minimalism and reticence camouflages a complex undercurrent that requires the reader to be alert to the nuances and intervals in between the words. Colebourn’s journal operates like Hemingway’s terse prose, in which the unspoken words resonate the most deeply. 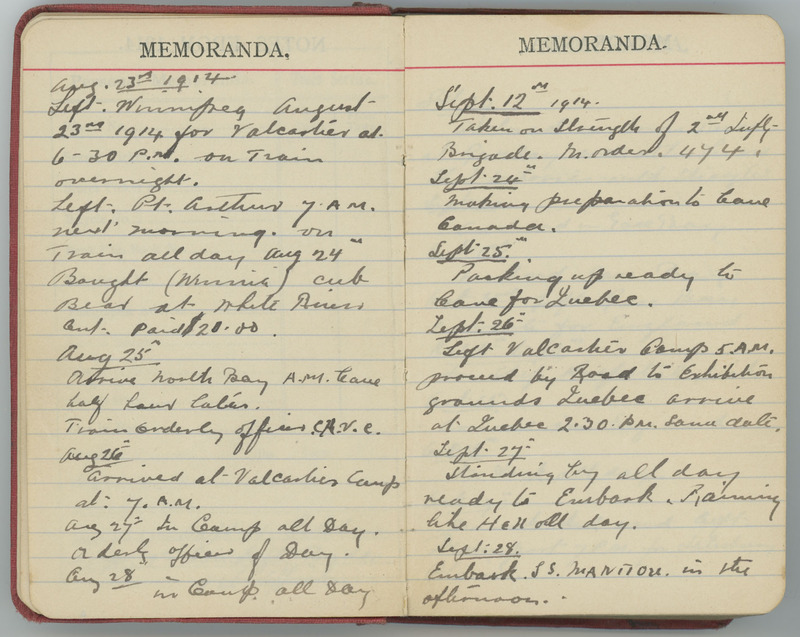 In the context of war, the diary’s silences are meaningful: the gaps speak of danger and crisis. They also speak of the unpredictable life in the trenches, where the writer lacks control. Writing a diary was dangerous if the information fell in the hands of the enemy. In his entries, Colebourn’s writing does not imbue Winnie with character traits or personality, unlike the photographs that show Colebourn and his regiment, including General Arthur Currie, posing with the affectionate pet. And yet, in a diary filled with empty pages, repetitions carry emotional meaning and Winnie is a point of return, a leitmotif, as well as a lifeline. As the war ordeal continues, and war stress affects Colebourn’s health, Winnie offers interludes of peace and restoration. Their bond is a touchstone of survival.